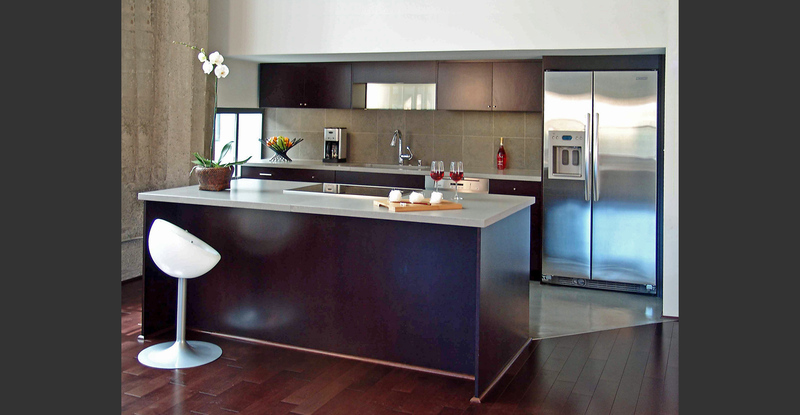 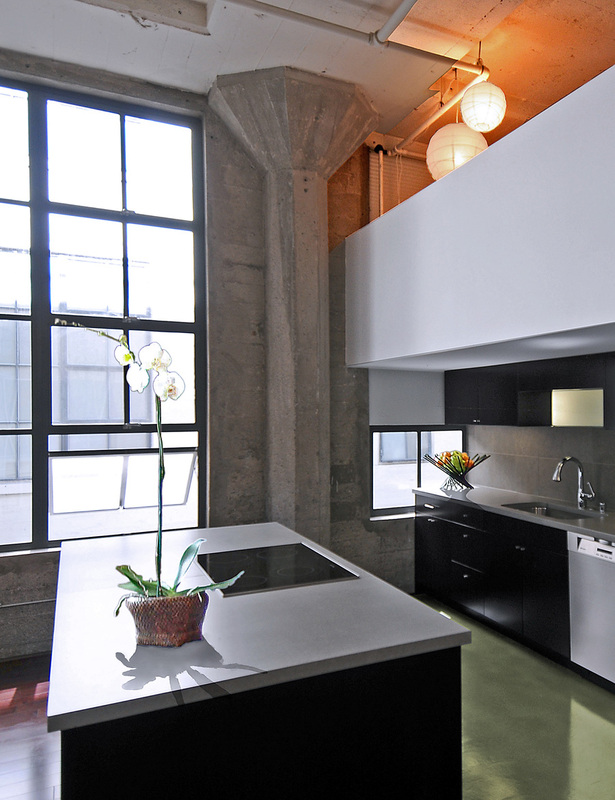 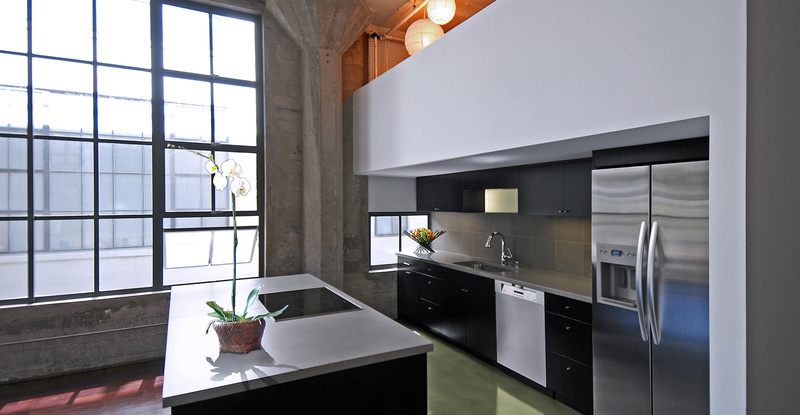 Located in a large former industrial building, the San Francisco Award Winning Kitchen and Bath Design is an entire remodel of a 2,000 square foot loft. 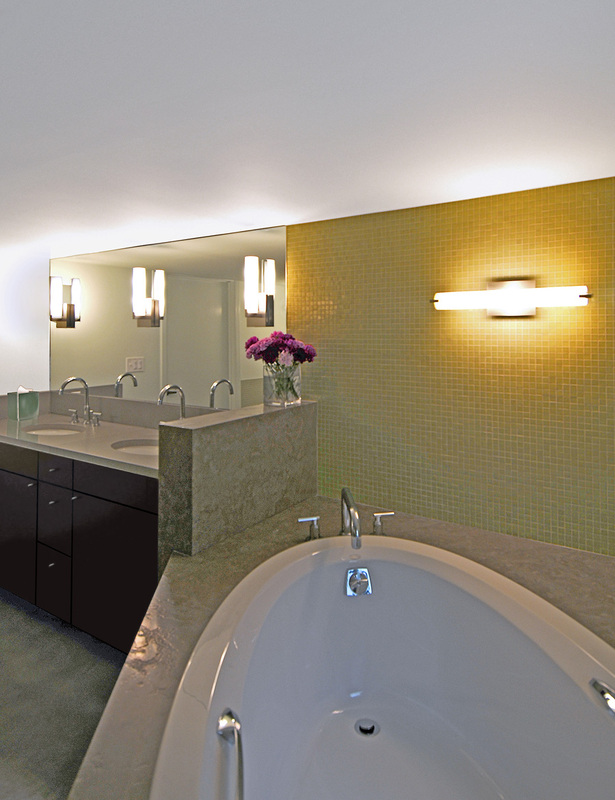 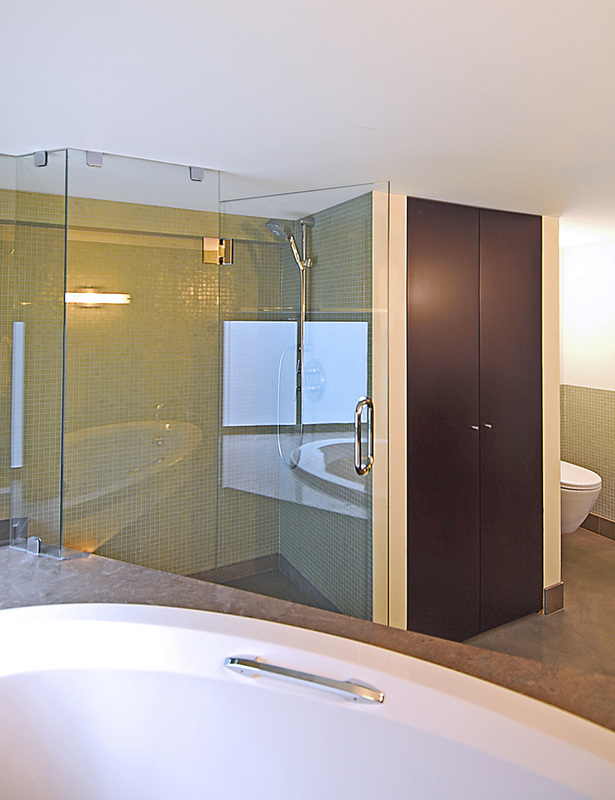 An ingenious solution was used to greatly enlarge the existing Bathroom and remodel the existing Kitchen. 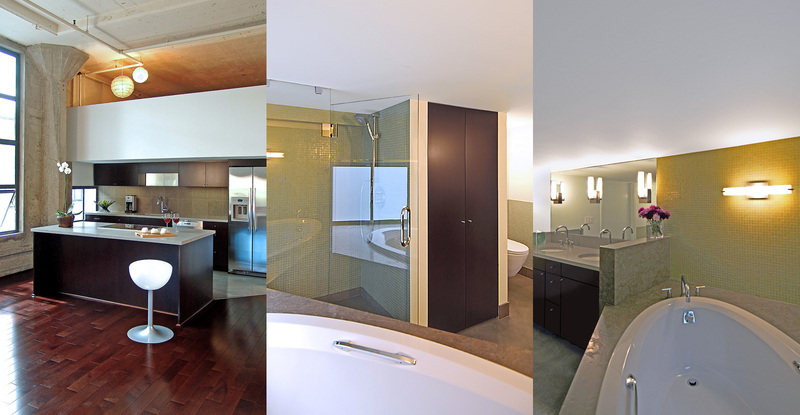 By concealing the plumbing in millwork and in the new jacuzzi deck, a much more innovative floor plan was achieved for both the Kitchen and the Bath. 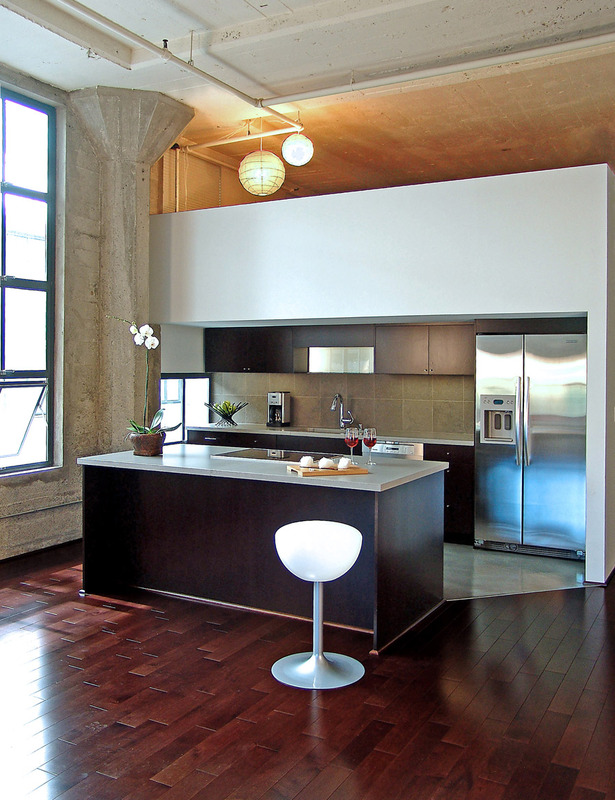 Cabinetry and Fixtures were used throughout to accent and contrast with the austere finishes of the existing loft residence.